I've played the Altis mission for about 20 minutes and no errors. Were you continuing to play from a saved game? If so, try from mission start and see if it's ok.
Every time I tried with a fresh start, now I understand that there is something wrong in my settings, I will try to delete all the mission saves, mission and 3CB mod and then ''reinstall'' them. I'll sort out somehow, because I love 3CB mod. Thank you once again for help. Roger, cheers for the answer! Since the A3 1.86 update I am getting this error on my dedicated server. 16:21:45 Warning Message: Files "C:\Steam Library\steamapps\common\Arma 3\!Workshop\@3CB BAF Weapons\addons\rksl_attachments_core.pbo", "C:\Steam Library\steamapps\common\Arma 3\!Workshop\@3CB BAF Weapons\addons\rksl_lds.pbo", "C:\Steam Library\steamapps\common\Arma 3\!Workshop\@3CB BAF Weapons\addons\rksl_pm_525.pbo", "C:\Steam Library\steamapps\common\Arma 3\!Workshop\@3CB BAF Weapons\addons\rksl_pm_ii.pbo", "C:\Steam Library\steamapps\common\Arma 3\!Workshop\@3CB BAF Weapons\addons\rksl_rmr.pbo" are not signed by a key accepted by this server. To play on this server, remove listed files or install additional accepted keys. I have updated the mod on the server and in the launcher. I have also uninstalled and reinstalled the mod from my PC and from the server and continue to get the error. Everything worked flawlessly until the 1.86 update. I saw that they were updating the signatures for security, not sure if this could be where the issue lies. From what I've read what mentioned is the issue. And its not just with this mod. I haven't had any other issues so far other than this mod. But I fully believe that if they did truely update the signatures past v2 to a v3 signature that it would throw many mods out of wack. Especially with how little information I have been able to find about the signature update. 1.86 is broken yes. Hotfix incoming. But I fully believe that if they did truely update the signatures past v2 to a v3 signature that it would throw many mods out of wack. So we're still waiting on the hotfix. Got it. Thanks! Hotfix went live this morning. I was wondering if I would be able/allowed to utilize the static weapons from this mod? I'm looking at pulling the static pbo out (changing nothing in the credits so it all references the parent mod still) so that our community can utilize the vastly superior crew served systems in this mod. Any idea if and or when we will be able to place scopes back on the L7A2? I don't know why you don't just load the 3CB weapons mod and not the others, that's all we do when we're not using the full pack. @constance68w: You are already free to download the weapon pack and use the .pbo's as required, however we don't permit separate uploads to Steam, so if you are making it for a clan or group, the upload would need to be for a private repo - say through Arma3Sync. As JD Wang states, we've already separated our mods into four separate packs to make it easier for groups that don't want to use all aspects of our releases. You only need the weapons, and not equipment, units, or vehicles. It's as user friendly as we can make it. @The_Elkin: Not sure if there is any time scale on this. 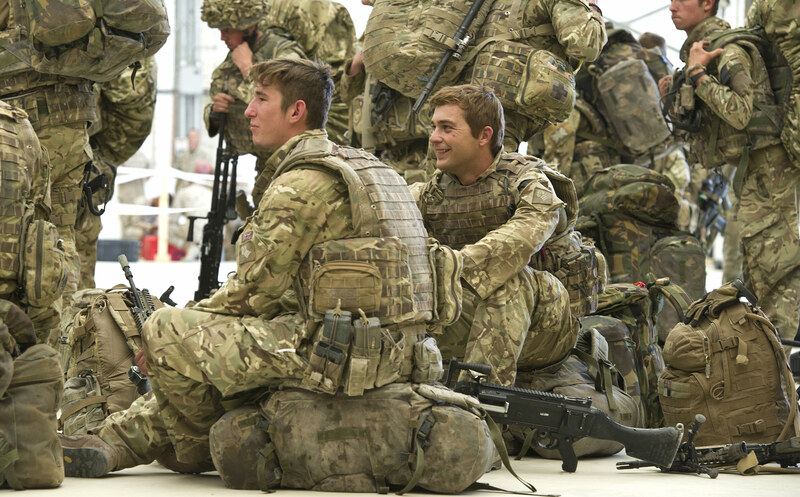 Most of the time, BAF use the gpmg without a scope. There are no rails on it. The only time it regularly is equipped with optics is when it is used as a static position. For longer range engagements where it needs to be used as a support weapon, you can already simulate that in the game by carrying a 3CB gpmg tripod on your back (or by an assistant) in the launcher slot and combining the hand held gpmg to create the tripod version. It can then be disassembled back into the gun and tripod and moved to a new fighting position. There are no rails on it. But as you say there's practically no use for it, so hardly any of the HK guns even have one. The optics that might be used with the gun while in the light role are night sights like Kite, Vipir, or FTS/Dragon. But they're heavy, and can make the feed cover more difficult to lift when operating the gun. Flipover optics mounts (Istec L10A1 [old 19mm NATO dovetail] and L11A1 [picatinny/NATO Accessory Rail]) tend to be what is used whether it's the Eotech used on a ship's pedestal-mounted GPMG (RN have the L12A1 version), or a Maxikite for the commander's gun on Jackal. Are you guys aware of the key conflict with 3CB Weapons and RKSL Studios: Watchkeeper WK450 Tactical UAV? Both use the RKSLA3.bikey but they're different versions. Not sure who's is the outdated version but I've done a work round in our server keys folder by renaming the Watchkeeper key to RKSLA3_Watchkeeper.bikey so we can use both. Not a big deal but would appreciate if you use the RKSLA3.bikey, you both have the same version. As ever, loving your work. This is fascinating to discover that 3CB are uploading RKSL content to Steam without consent. I'm looking forward to an explanation for that. This is one of many reasons why you shouldn't re-upload other peoples content without permission. @MitchJC The new versions of RKSL content use a completely new key. It's an issue caused by Da12thmonkey signing the Attachments pack with a different private key to the one I previously used. Once the updates are out in a few days this will not be an issue anymore. Would have been nice to know. I've been fielding these key issues for a while now, I've only just discovered its due to the 3CB upload. 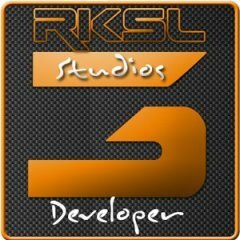 Reporters have denied having any other RKSL addons installed. This explains so much. We'll look to assist in any way we can with this issue. We really appreciated Da12thmonkey giving us permissions to include the scopes in our pack some four years ago when we first released the weapon pack - and now by so quickly explaining the situation. The scopes are still in their original .pbos and we haven't opened or modified any source material in anyway, simply included them in the BAF Weapon pack so that we didn't require a further dependency. There is no need for an apology. This oversight will be discussed away from here to try and find a way forward. Thank you. As Evrik said, there is no need for an apology. We'll discuss offline. Thanks for the speedy response guys, hopefully I didn't open a can of worms here, that was never my intention. I'm sure you've been asked this before but do you know if its a bug or am I doing something wrong in terms of the weapons tripod and L16 mortar parts as when I remove them from my launcher slot to drop them on the ground they stay in the bag form therefore not allowing me to build said mortar or mounted GPMG. This only happens on our dedicated server so can you think of anything that is stopping the bag swapping over into its dropped form after a second? I've tried these both out in a hosted mp mission from my pc and they switch perfectly fine so it doesn't seem to be a mod conflict maybe a setting somewhere on the sever side? I don't think this issue has been reported. We've used the L16 mortar recently on our MP servers on private Ops without any issues. Does your server have anything else running perhaps that the hosted one doesn't? I'll need to look into this with the server admin as I'm not 100%. But another thing have you guys changed the NLAW so it can no longer lock onto vics with T? The diamond no longer appears all I can do with it is make it curve when holding TAB before firing or was this broken by an ace update?